A small tree can bring beauty and diversity into your yard while taking up very little space. One could be planted next to your doorway, on the edge of a driveway, in the narrow strip between the sidewalk and street, in the garden bed by your patio or even in a large pot on your deck. The woody trunk and branches will provide visual interest and habitat for wildlife throughout the year in a way that annual flowers and groundcovers cannot. 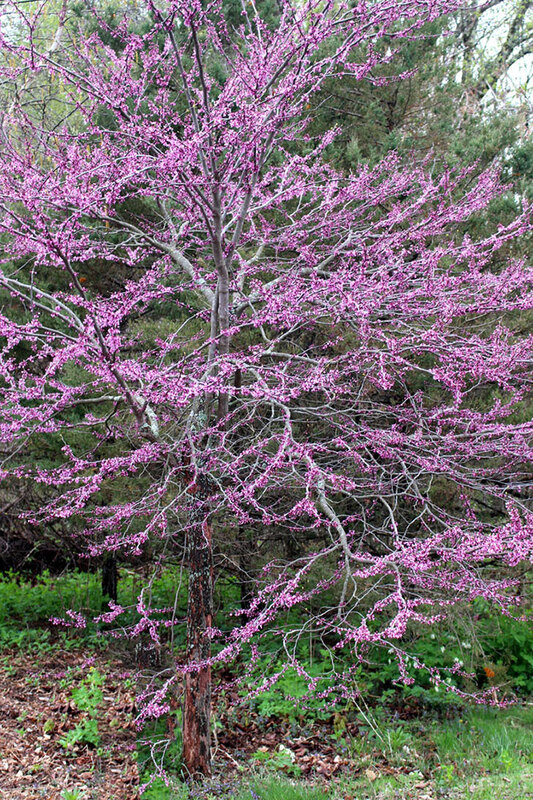 Below is a list of a dozen small trees that have flowers and foliage that support pollinators, fruits and seeds to nourish wildlife, leaves in a variety of shapes and shades of green, and diverse bark and branching patterns. 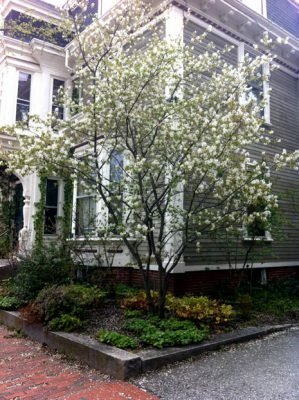 And like all native plants, each of these trees support other creatures from our local ecoregion and will help draw them into your home landscape. Planting a small tree is a pleasurable task. You do not need to have gardening experience to tackle this and it is a great way for people who do not consider themselves gardeners to contribute to returning natives to the local landscape. Tree planting instructions are at the end of this blog. 10-20 feet. Sun to part shade, medium to moist soils amended with composted leaves.In early spring small white flowers support early pollinating insects. Later in June and July red or blue berries are delicious for people and birds. 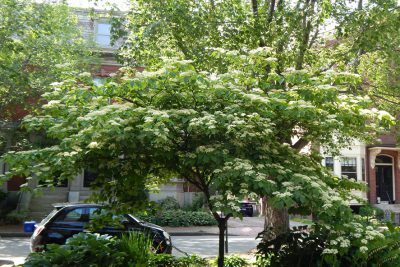 This open airy, single or multiple-trunked tree is ideal for locations where you do not want to cast dense shade or obstruct a view. This plant is surprisingly tough in challenging urban conditions despite growing naturally in streamsides, thickets and open woodlands throughout Maine. 8-12 feet. 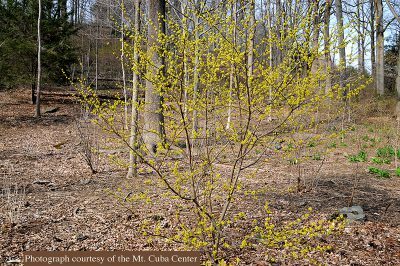 Part to full shade, moist soils amended with composted leaves.In May this multi-stemmed small tree or large shrub brightens a shady spot with its tiny yellow blossoms. Plants are either male or female, with the latter producing many small red fruits that are devoured by migratory songbirds in late summer. A nice tea can be made from the fresh leaves and twigs. This is native to southern Maine usually in moist deciduous woodland understory. 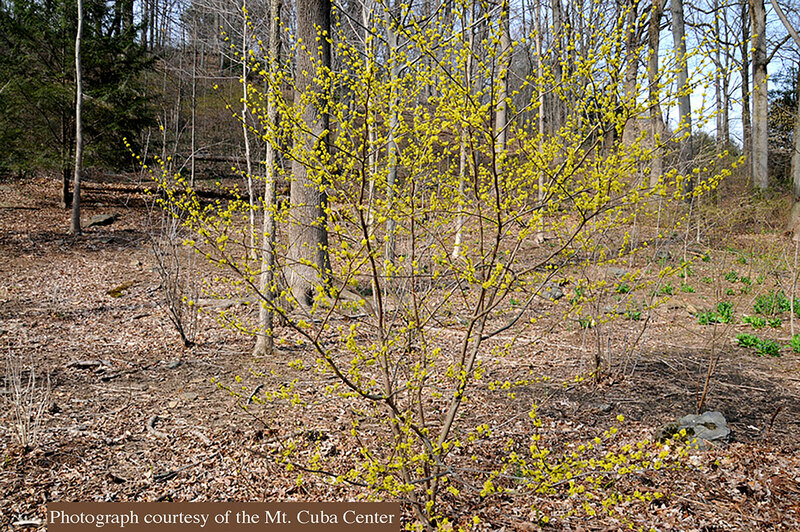 Read our Spicebush profile. 8 feet. Full sun, sandy or gravelly dry soils.In early spring white flowers cover this low branching tree. You must have two trees for cross-pollination to produce the distinctive dark purple fruits in September (which can be made into a delicious jelly). This little tree is very hardy and makes a charming specimen in a hot, dry location from urban areas to seaside gardens to a large planter on a deck or rooftop. The lower branches can be removed to create a more distinctive tree shape. 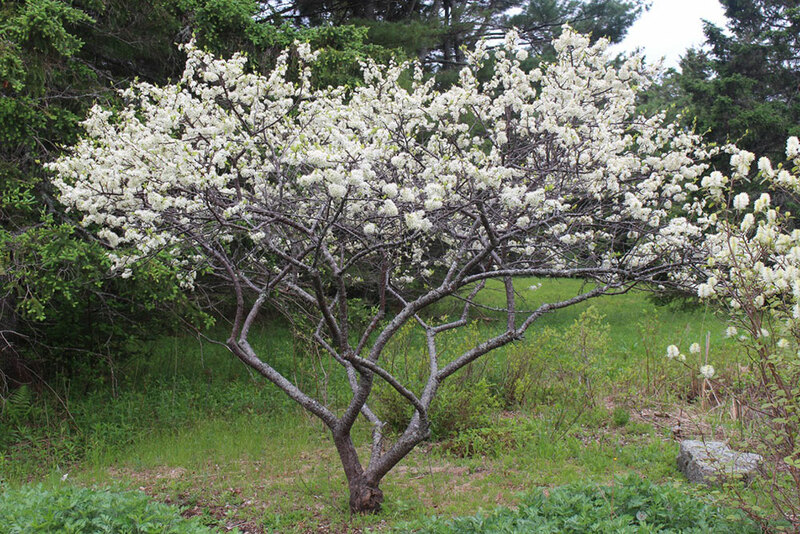 Beach plum grows wild on the coast in southern Maine. 10-20 feet. Sun to shade, medium to dry soils amended with composted leaves.In May, small lavender pink flowers grace these nicely shaped trees before the large heart-shaped leaves emerge. The flowers and peapod shaped fruits are edible when young and tender. 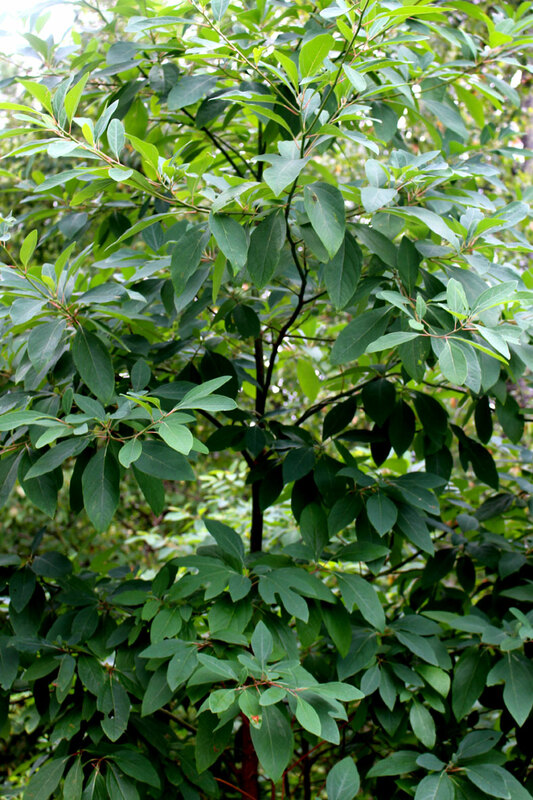 A common tree south of New England growing in woodland edges and in the forest understory, it is often seen growing with the big-bracted dogwood. Whenever possible, choose a seed grown plant and not one of the cultivars, which are lacking in genetic diversity since these are cloned. Read about navigating the nurseries. 15-25 feet. Part to full shade, medium to moist soils amended with composted leaves.In late spring dangling chains of small bright green flowers provide pollen for early insects and develop into showy clusters of maple seeds. The large emerald green leaves look beautiful against the green and white striped bark. In the winter the twigs turn red in the cold. 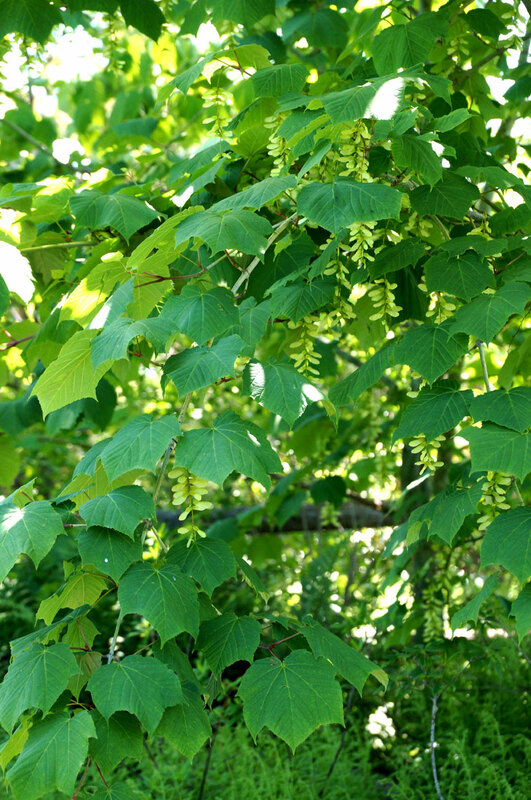 Striped maple is a common understory tree in northern mixed forests with moist rocky soils. Read our Striped Maple profile. 12-15 feet. 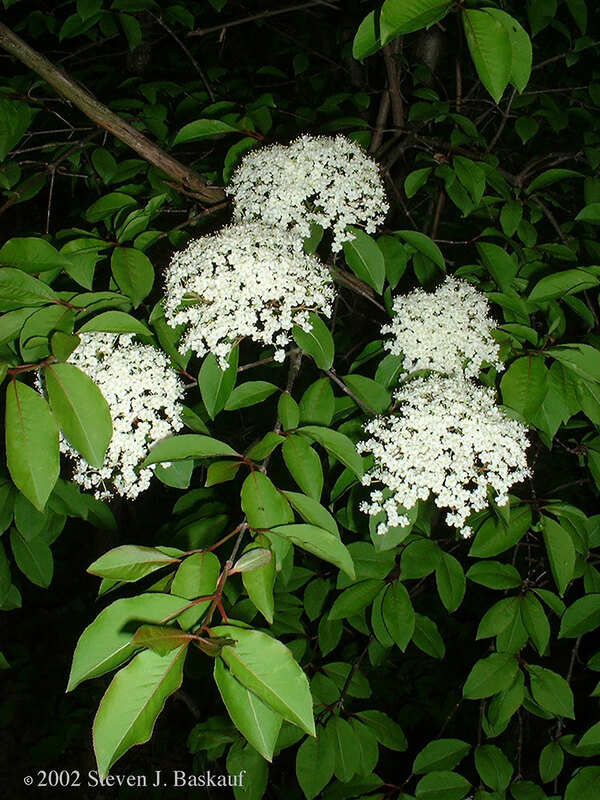 Sun to part shade, medium to dry soil amended with composted leaves.A small tree or large shrub with a crooked trunk and small dark green leaves which are offset beautifully in June with frothy white flower clusters. In the late summer black fruits ripen and are favored by birds. 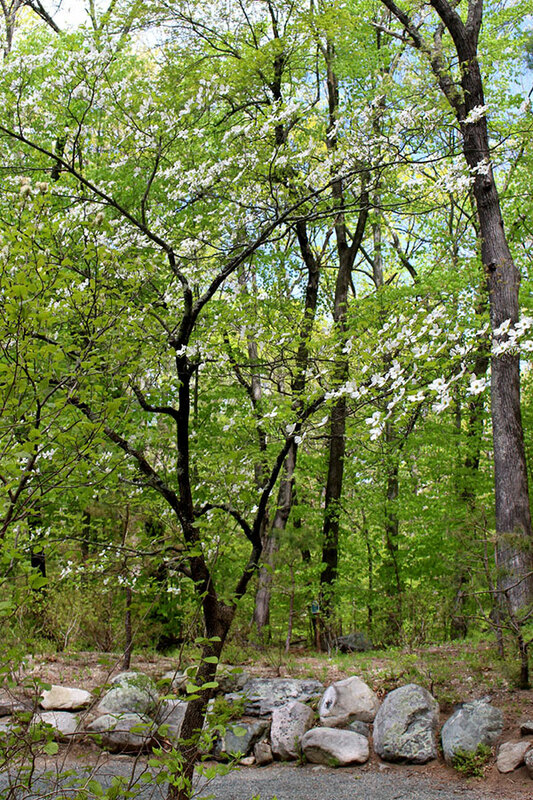 This petite, tough tree is native to dry, open woodlands and hillsides of southern New England. 10-20 feet. Sun to part shade, medium to dry soils.Hawthorne is a distinctively shaped tree with a broad spreading crown and horizontal branches with thorns. In the spring small apple-blossom like flowers cover the branches followed by small red fruits relished by songbirds. 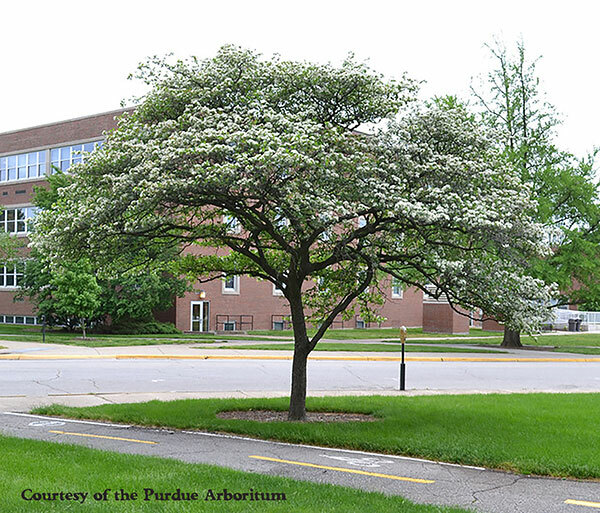 This is a tough plant that does well in urban areas such as the narrow planting strips between the sidewalk and road. In Maine, hawthorne can be found growing wild in hedgerows and woodland edges. 15-20 feet. Part shade, medium moisture soils amended with composted leaves.This woodland edge tree is common throughout Maine. It can be single or multi-trunked with distinctive tiered horizontal branches, white frothy flowers in early summer and very beautiful blue fruits on red stalks in August that attract flocks of birds. It is a short-lived, fast-growing woody plant common in Maine on roadsides and in woodland. 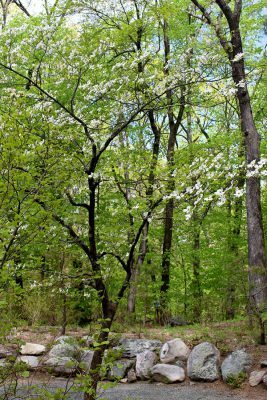 Read our Alternate-leaved Dogwood profile. 10-20 feet. 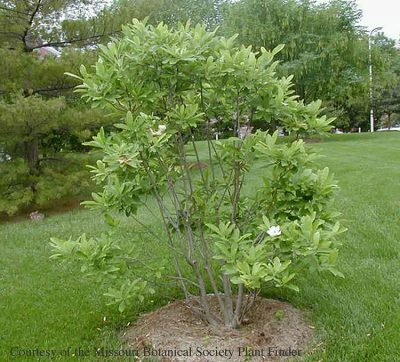 Part shade to sun, moderately moist soil amended with composted leaves.In the spring large white showy flowers light up the branches before the leaves emerge. In August clusters of read fruits attract birds and other wildlife. 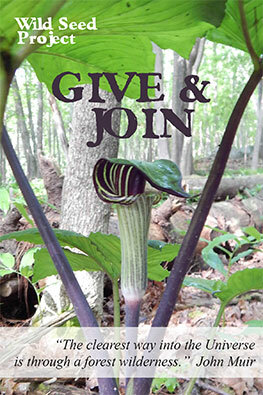 This species was nearly wiped out 30 years ago with a disease that swept through the eastern half of North America. Only the strongest disease resistant ones survived and this plant has started to return. 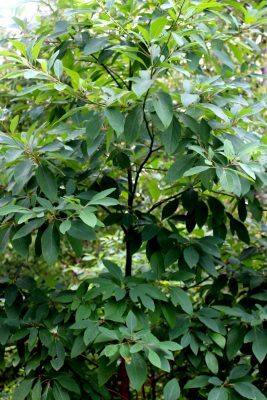 One of our most beautiful natives, provide it with well drained soil amended with leaf mold and a partially sunny location and you will have a magnificent tree. It is native from very southern Maine to Georgia. 15-20 feet. 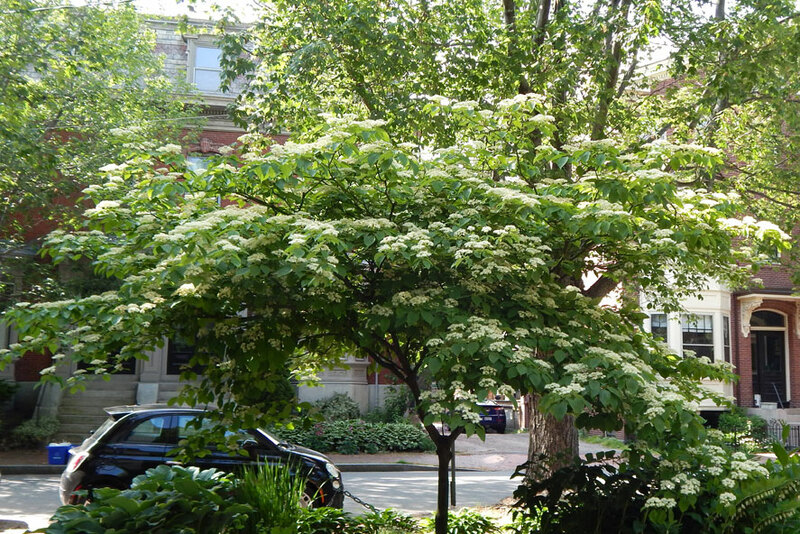 Sun to part shade, moist to wet soil amended with composted leaves.A dramatic, wide spreading tree with summer blooming creamy white fragrant flowers, large glossy leaves and red fruits relished by birds. An understory tree of more southerly wet woods and stream sides with the northernmost wild population on the North Shore of Massachusetts. A very nice specimen is growing at the Coastal Maine Botanical Gardens next to the Visitor Center. 20 feet. Full to part sun, moist to dry sandy to heavy clay soils.This tree has an open habit (low canopy branch density) with distinctive mitten-shaped light green leaves. Dark blue berries follow the small yellow flowers, and are relished by birds. Given space the tree will sucker to form a small colony. It looks attractive a large planter. 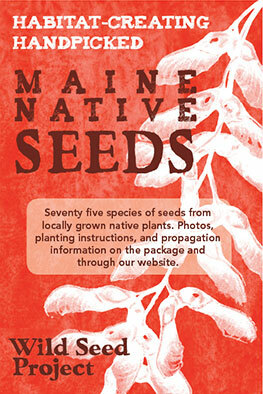 This southern Maine native is rare, growing in dry open woods and abandoned fields. 10-20 feet. 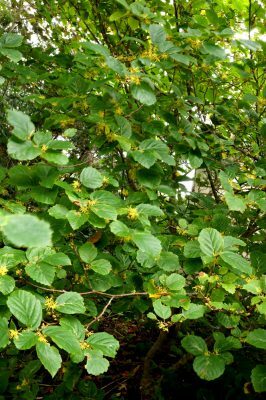 Full to part shade, dry to wet soils amended with composted leaves.Witch-hazel is a very adaptable tree with its multiple trunks and arching stems, charming wavy edged leaves, and wispy yellow flowers pollinated by moths in the fall. 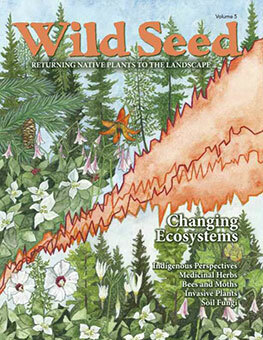 A widespread understory tree ranging from Canada to Georgia, it grows in a variety of shady habitats from streamsides to dryer upland areas. Read our American Witch-hazel profile. Is the planting location in full sun, a half-day sun, or shade? Is the soil sandy, gravelly, clay, or a mixture of these? Does it have any organic matter such as decayed leaves (like in a forest)? Is the soil moist and friable, or compacted like cement? Compacted soil is a man-made condition that must be remedied with a digging fork to allow water into the tree roots. To recreate native woodland soils add a thick mulch of composted leaves (often available from your town recycling) or aged hardwood bark. I like Coast of Maine Enriching Mulch made with hardwood bark and a bit of seaweed. This will help bring back the microorganisms in the soil and hold moisture. For planting instructions visit the Arbor Day Foundation website for detailed instructions and a how-to video. And finally, when choosing a tree at a nursery, keep in mind that smaller trees establish more quickly than larger ones and are much less expensive. Within a couple of years, they will surpass a larger transplanted specimen.